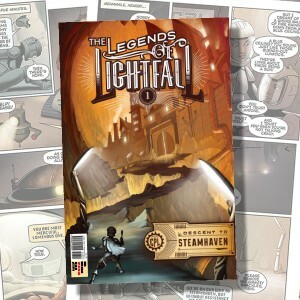 For the young at heart, explore The Legends of Lightfall, an incredible storybook experience in a land of deep shadow and peril, controlled by the Council of Power and Light. Join our hero’s journey with Kort, Sofia, and Treads, as they travel to Steamhaven while battling marauders, copperwings, Power Pirates, and Lightstalkers, to reach their destiny. Filled with cutting-edge technology and vivid visuals, TheLegends of Lightfallis an experience beyond!